Netflix’s The Umbrella Academy has been renewed for a second season. Based on the award-winning comics by Gerard Way and Gabriel Bá, the first season of The Umbrella Academy proved to be an absolute hit for Netflix. It actually became the most in-demand superhero TV series, beating even The Flash. The cliffhanger ending of The Umbrella Academy season 1 clearly left the story unfinished. The Umbrella Academy students had failed to prevent the apocalypse, with Vanya’s powers blasting a chunk out of the Moon and causing the extinction of the human race. Fortunately, Five was able to add a new variable by transporting them back in time – to who knows where or when. The dysfunctional family of superheroes are still determined to save the world, but they don’t really have a clue how to pull it off. What’s more, the sinister entity known as the Commission will still be determined to stop them. 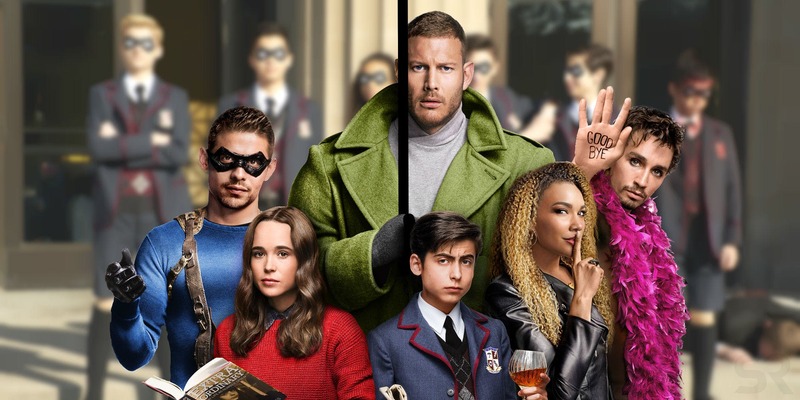 Screen Rant can confirm that Netflix has renewed The Umbrella Academy for a second season. Production is expected to be underway from May 2019 through to September 2019. No other details have been revealed just yet. Recently Luther star Tom Hopper and Allison star Emmy Raver-Lampman spoke about a second season at MCM Comic Con Birmingham. Tom added: “It’s great to see the response from the fans, because that’s a telling sign. But things didn’t sound too confident earlier this week as Number Five star Aidan spoke out on his Twitter account. Speaking to his 160,000 followers he wrote: “Thank you for the role of a lifetime! Although cryptic, fans began assuming he was saying the show had been cancelled, or that he had stepped down from the role. The Umbrella Academy season 2: Could the team return for another battle in the second season? The plot of The Umbrella Academy season 2 is something of a mystery. The Netflix show has already headed in a totally different direction to the comics, and has mined those of almost all their major plot points. That means season 2 is likely to blaze its own trail, and even comic book readers won’t be able to predict where the series is going. Compounding this issue is the fact that Number Five’s time travel powers appear to have rejuvenated all his siblings, and possibly even brought Ben back from the dead. That means it’s unknown whether or not season 2 will star the adult actors at all, or instead will focus on the younger cast members. Hopefully set photos and set reports will shine a light upon some of these enigmas. There will still likely be a substantial amount of time spent in post-production, so it seems likely The Umbrella Academy’s season 2 won’t drop until 2020.